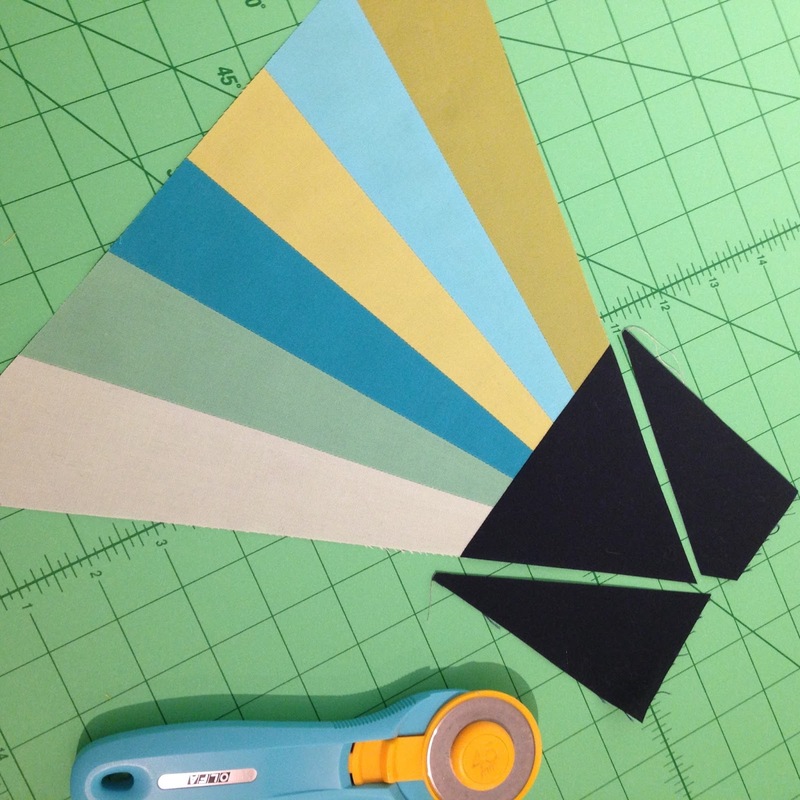 I'm thrilled to show you a versatile block that you can make with wedge shapes! No paper piecing! There are so many ways to use this little block, the picture above is one of my favorites, see more possibilities at the bottom of this post. 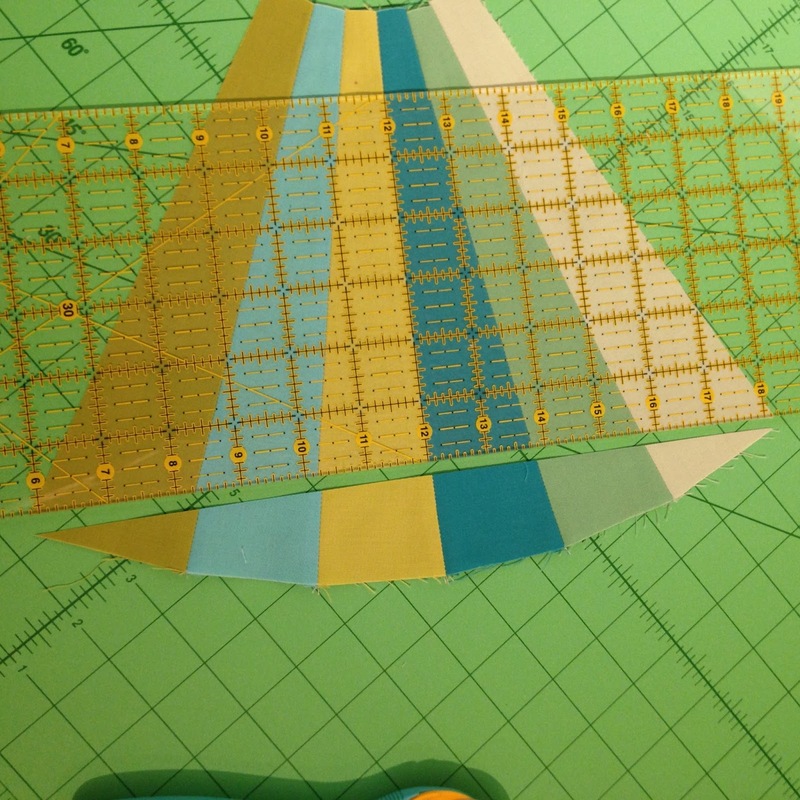 I demonstrated how to make this block on Fresh Quilting recently, and if you haven't seen the episode yet, here is my segment! 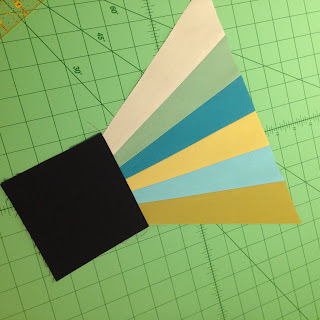 You may also want this link to these instructions in a printable format, provided by the Fresh Quilting show, including a printable template for making this block. In the episode I use the 10 degree wedge ruler from Phillips Fiber Art. For those who are curious, if you follow these instructions you end up with a block that finishes at 10'' from point to edge, and 11 5/8'' along any side. 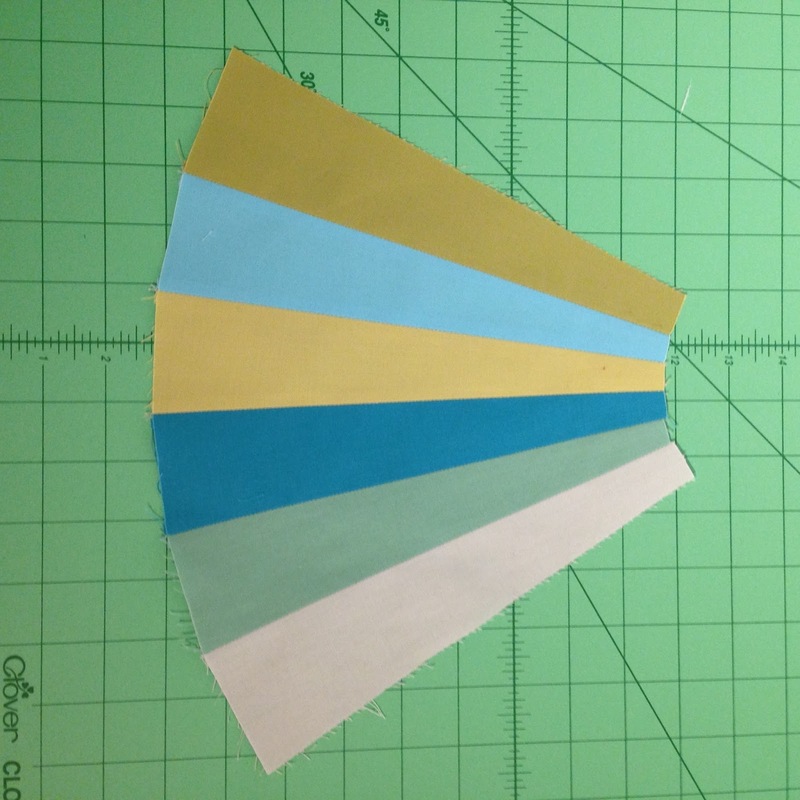 Subcut strips into wedges, aligning the wide end of the wedge template (OR the 11 3/4’’ mark on your 10 degree wedge ruler) for each cut. You will need 6 wedges per block. Join the wedges in sets of two. Match wide ends and sew from the wide end to the narrow end. Use a shorter stitch length because we will be cutting across these seams later. After wedges are joined into pairs, Create wedge sets by joining three pairs together, for a total of 6 wedges per set. 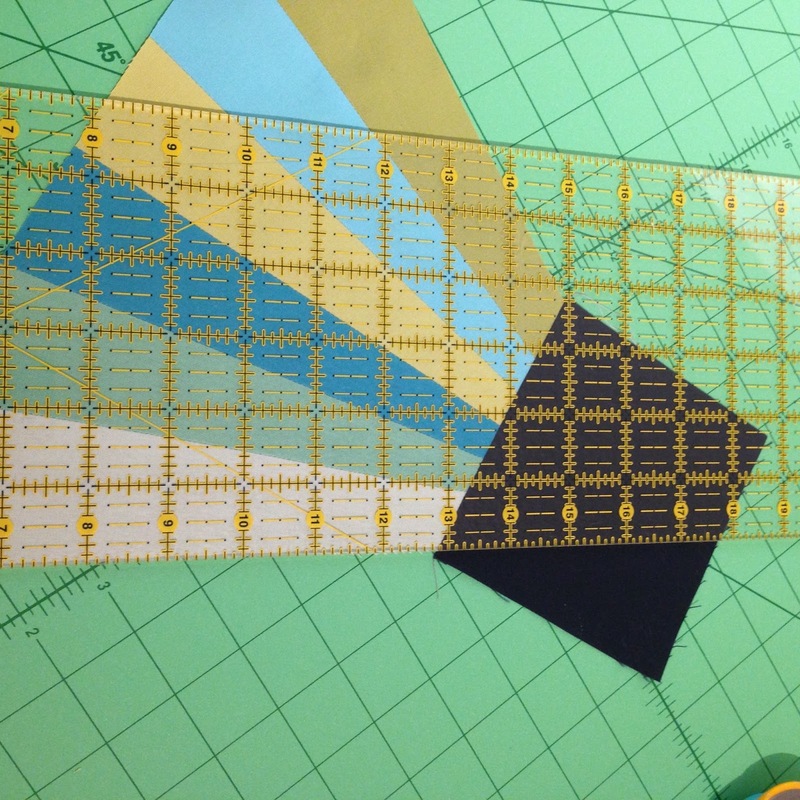 Again, align wide ends and sew from wide to narrow end. Press seams open. Now this is the chance to square up your piece for accuracy. 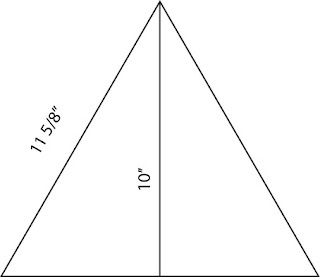 You can do this if you have a cutting mat with a 60-degree mark on it, or a 60-degree triangle ruler. Lay the wedge set down, aligning it with the cutting mat’s angled 60-degree line on one raw edge and a horizontal line (or vertical line, depending on your mat) on the other raw edge of the wedge set. Align the wedge set so the fabric comes completely to the lines with as little over the lines as possible. 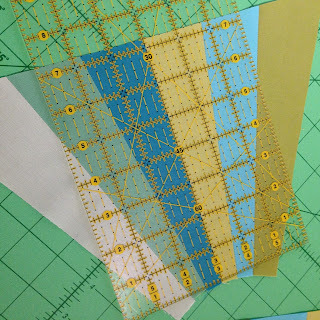 Then, use your quilting ruler and rotary cutter to trim any fabric that extends over the lines. 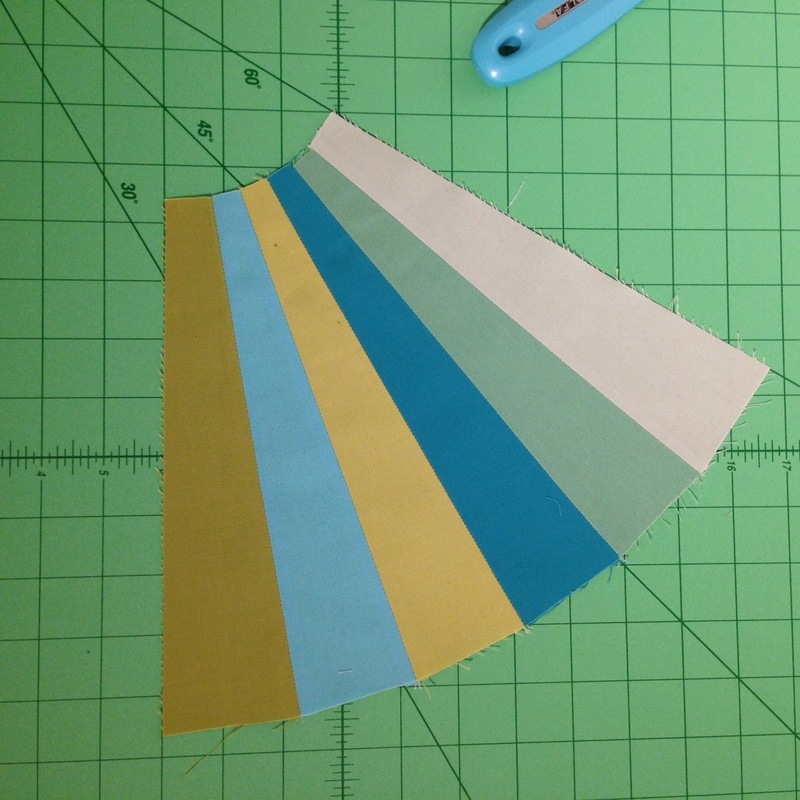 Trim the wide end of the piece to a straight line by cutting from corner to corner. 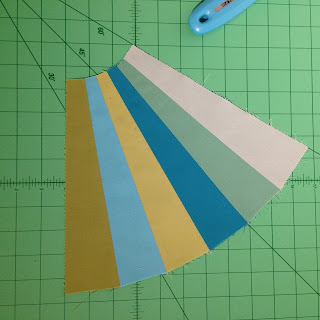 Align the center seam of the wedge set with a line on your cutting ruler to make sure your cut is perpendicular to the center seam of the wedge set. Measure 7 1/4” from the previous cut and make a straight cut across the narrow end of the wedge set. Again, align the center seam with the marks on your ruler, to make sure your cut is perpendicular. 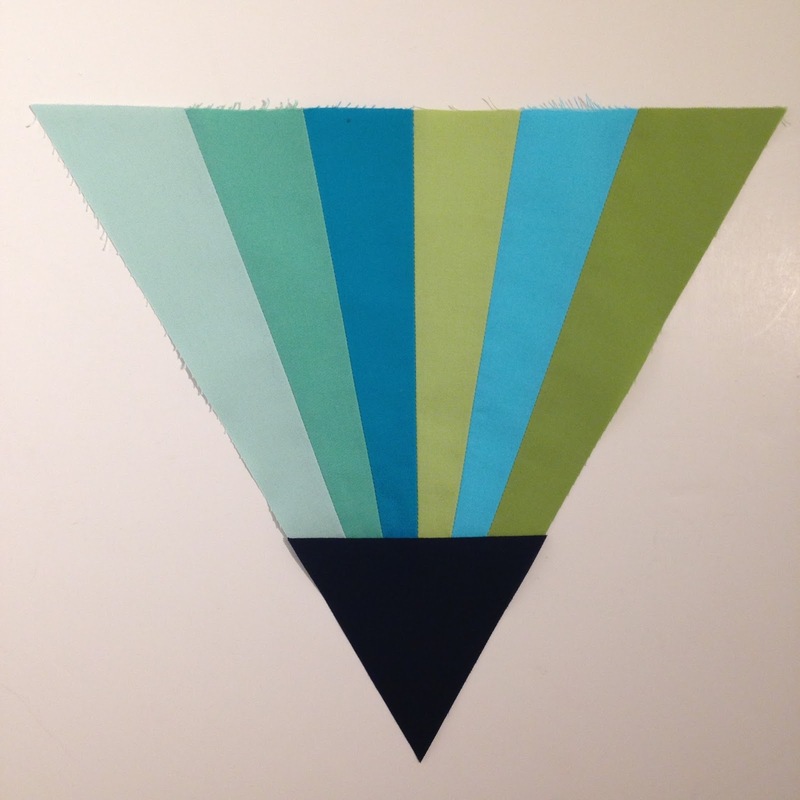 Join a 4 1/2’’ square of fabric to the narrow end of the wedge set. Press. Use the edges of your piece as your guide to trim the triangle tip. And you’re all done! Have fun playing with layouts! Oh, Christina, I really like this idea.......and, yes, so simple to do ! In these colors, it looks like a shimmering gemstone/diamond ! I'm so curious as to how it would look done in scraps. May have to play with it, but then again, if I wait, the scrap queen may just show me.....HINT, HINT ! Thanks for sharing your pictures AND instructions ! This is beautiful. Thanks for sharing it. WOW! The alternating points make me think of pencils. How great this would be done in a colorway that looks like a bunch of colored pencils. Love it! It's nice to see all the different layouts! Very beautiful block and layouts ! This is a really exciting idea! this is so effective....thank you for sharing your creative spark and showing the instuctions. You are very clever! That was excellent, so well done, thank you. Your tutorial is nicely done Christina. I have taken a Craftsy class from you and enjoy your teaching style. Keep at it...you are great at what you do! Fabulous! Thank you for this beautiful inspiration! Genius! Love the colours, and yessss! I can pull out my wedge ruler from ahem, over a decade ago and use it again! Thank you! I believe in magic!! Love this, thank you! You are incredible and it is such a sweet gesture to share! Thank you! This is brilliant! Leave it to you to create something this fun Christina! I am so happy to see your creativity reblooming! And to see you have done a PBS show too is awesome - Congratulations! So great!! Thanks for sharing. I love this! Does this use 'Y' seams to put together? Oh my. I've just clicked over from your newest wedge quilt. These are just amazing. Wow. I think I need to try wedges.